Handmade 19th century Victorian Shaker, or Shaker style sewing pocket or pinch purse. 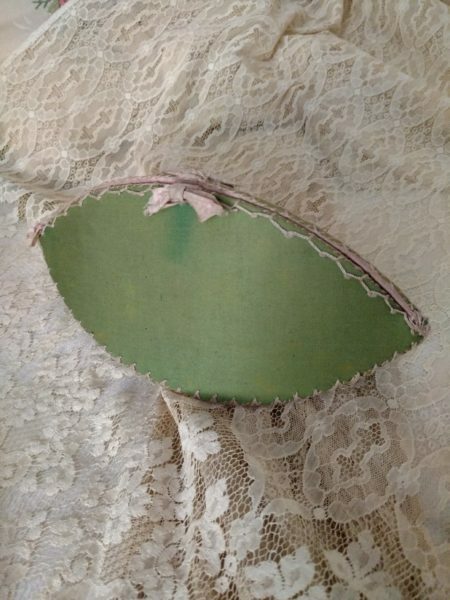 A wonderful piece of Americana made of a green cotton sateen fabric exterior and lined in a pink cotton on the inside. Feather stitching embroidery, in a pink thread, decorates all the edges. Silk ribbon bows, or remnants of ribbon, are used as accents.